CAP CANA, Dominican Republic - Ben Cherington has said since he took over as general manager that retaining free agent designated hitter David Ortiz was a priority for the Red Sox. 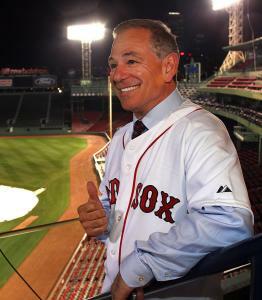 How much of a priority became abundantly clear when Bobby Valentine strolled into the Fishing Lodge resort here last night in search of Ortiz. Installed as manager of the Sox on Thursday afternoon, Valentine was on the go less than 24 hours later to visit Ortiz and help support his charity golf event. Valentine did not arrive with a contract offer but wanted to make it clear to Ortiz how much he wanted him back on the team. He greeted Ortiz with a hug and a big slap on the back. Prior to last night, Ortiz’s relationship with Valentine was limited to occasional conversations over the last few years when the new manager worked for ESPN. Good will will only take the Red Sox so far, however. Ortiz is seeking long-term security, pointing to the deals that Adam Dunn received from the White Sox (four years, $56 million) and Victor Martinez from the Tigers (four years, $50 million) last winter. The difference is that Ortiz turned 36 last month. Dunn was 31 when he signed that contract, and Martinez nearly 32. But Ortiz also hit .309 last season with a .953 OPS and 29 home runs. No DH was more productive. “Do I have to explain what I’m capable of doing? Everybody already knows. I’m not even going to go there,’’ Ortiz said. “We just need to get into an agreement and when that happens, it’s game on. That is not entirely true. The Sox offered Ortiz salary arbitration Nov. 23, and he has until Wednesday to decide whether to accept. If he accepts, Ortiz would be guaranteed a contract for 2012 at a raise from the $12.5 million he made last season. He will meet with his agent, Fern Cuza, in New York on Monday to discuss the merits of that idea. “We’re thinking about what we’re going to do. We don’t know yet,’’ Ortiz said. Cuza also plans to sit down with Cherington at the winter meetings in Dallas next week. Cherington said Thursday that Ortiz was a “remarkable’’ player. Ortiz understands that the search for a new manager occupied a lot of Cherington’s time in recent weeks. But he also expressed some disappointment at his situation not being addressed. “It works both ways,’’ Ortiz said. “It’s not easy to pick up a manager. It takes some time. But when it comes down to players, you know what you have and you know what you need. It’s not like you need a manager first to decide whether you want to have somebody come back. Ortiz said he is prepared to move on to another team if that’s his best option. There hasn’t been pressing interest, he acknowledged, but the Orioles are among the teams that have inquired. But, he stressed, the Red Sox are his focus. Valentine also spoke to Tim Wakefield at the event. Like Ortiz, he is a free agent. Before he saw Ortiz, Valentine pulled Wakefield off to the side for a conversation. Valentine quickly became the center of attention at the dinner function he attended, shaking hands with players from other teams and posing for photographs. Valentine will return to his home in Connecticut today then travel to Dallas tomorrow. The new manager of the Red Sox, it seems, is indefatigable. Globe 10.0 A risky choice?